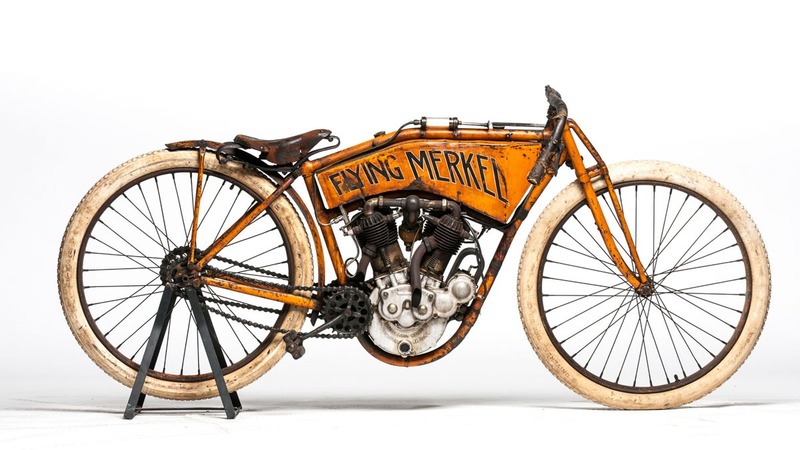 As you can see by close study of this rare, unrestored original paint example, Joseph Merkel sought to build a very lightweight simple racing motorcycle, one that could conquer the newly constructed board tracks and the dirt tracks of the era. 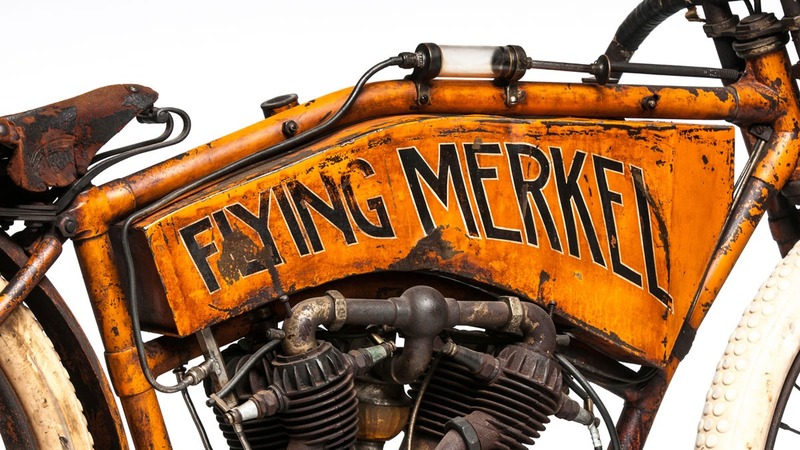 Though Merkels were among the most innovative of early motorcycle designs, Merkel chose to leave off this racer his innovations; self-starting and rear “mono-shock” suspension thereby saving weight and complexity. 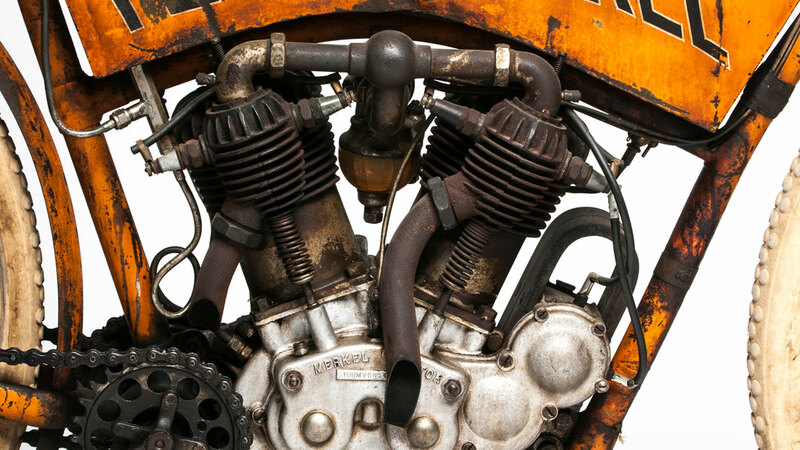 His racing V-Twin weighs under 200 pounds. Until about 25 years ago, this Merkel was owned by one family since new. A Virginia collector named Bob Clifton eventually negotiated ownership of the very rare machine which had been raced until World War I then stashed in a Chevrolet dealership for many years. Later it was in the fine collection of the 2015 E.J. 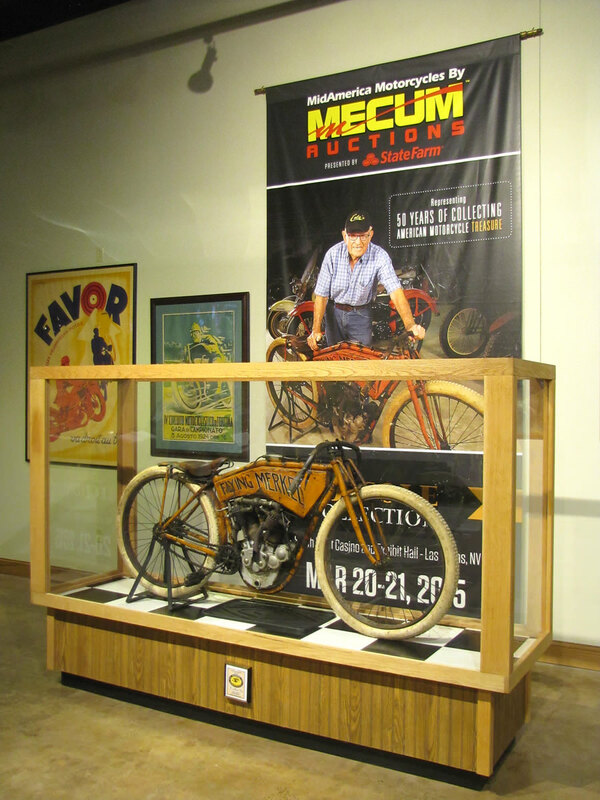 Cole Mecum Auction where the late John Parham purchased it. 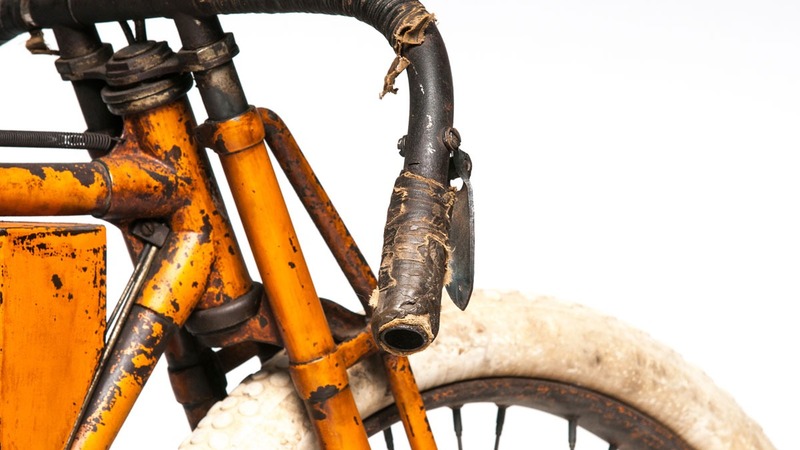 John cherished it as the finest unrestored motorcycle in his vast collection. 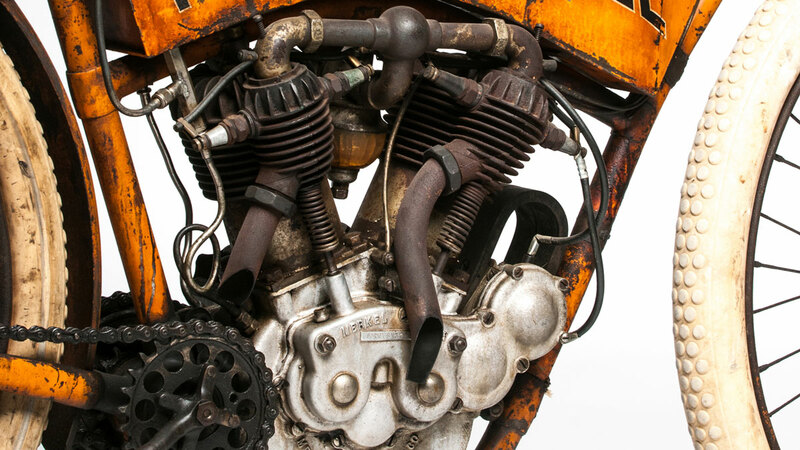 Though the inlet over exhaust v-twin did use dual spark plug heads, European manufactured ball bearings on the crankshaft, cams and magneto drive, the 61 cubic inch engine was otherwise conventional. Looking closely you will see the engine is driving a jackshaft which transfers power to the rear wheel, but there is no clutch; when the engine is running, the rear wheel is turning. 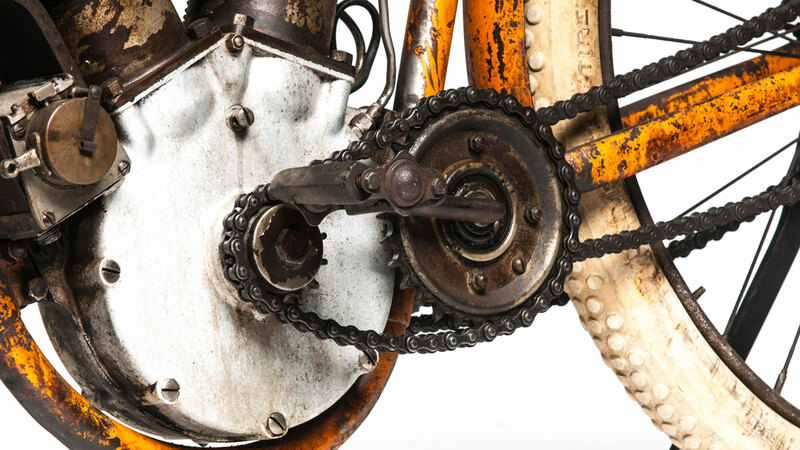 Opening the fuel and oil taps, engaging the compression release, the pedal crank serves to start the engine if the bike is stationary on a rear stand, but push starts for races were common. After starting, the pedal crank serves as footpegs. The rider controls speed with the throttle and kill switch. Until about 1965, F.A.M. and the A.M.A. racing rules prohibited brakes. Killing the ignition and operating the compression release, the Merkel rolls to a jerky stop. Fuel and oil valves are shut and cooking lubricating oil wafts up from the total loss lubed motor. 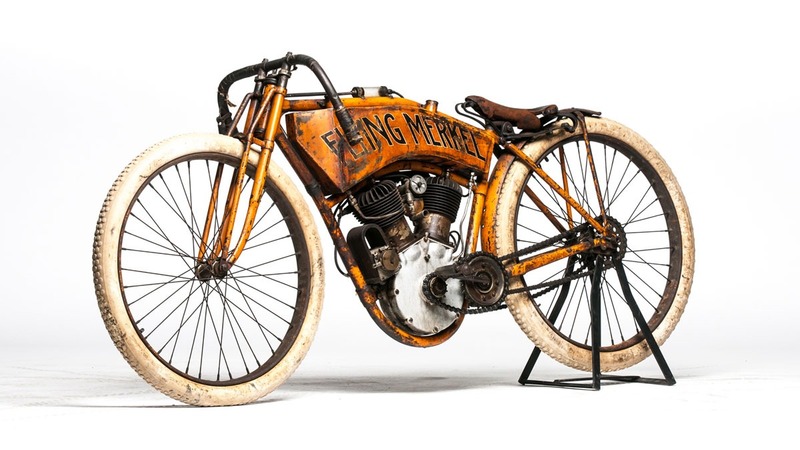 In 1902 Joseph Merkel set up shop in Milwaukee, Wisconsin to produce motorcycles. Merkel hired the best competition riders, knew that racing and winning might sell more motorcycles. 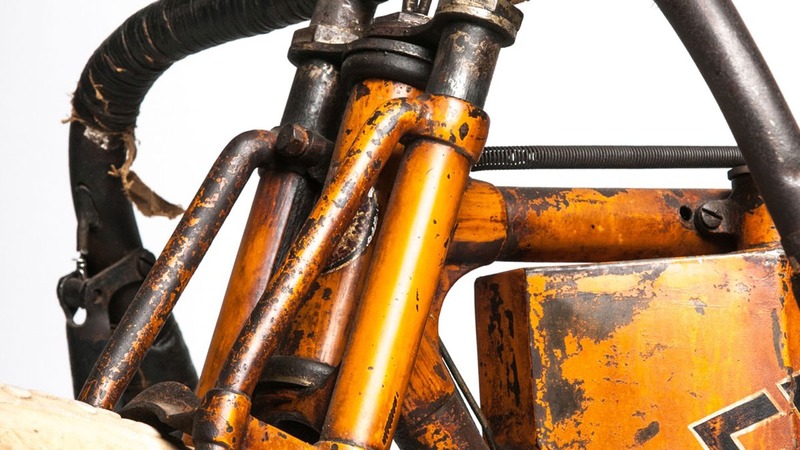 He emblazoned FLYING MERKEL on the fuel tank, ”so the public could easily see who was out in front!” Mechanical developments from racing led him to design a fork so good it was used by other brands as well. Though not used on his racers, most remarkable for the time was Merkel’s rear suspension, a “mono-shock” of sorts with one spring unit under the seat and a triangulated swing-arm pivoting just behind the pedal crank. 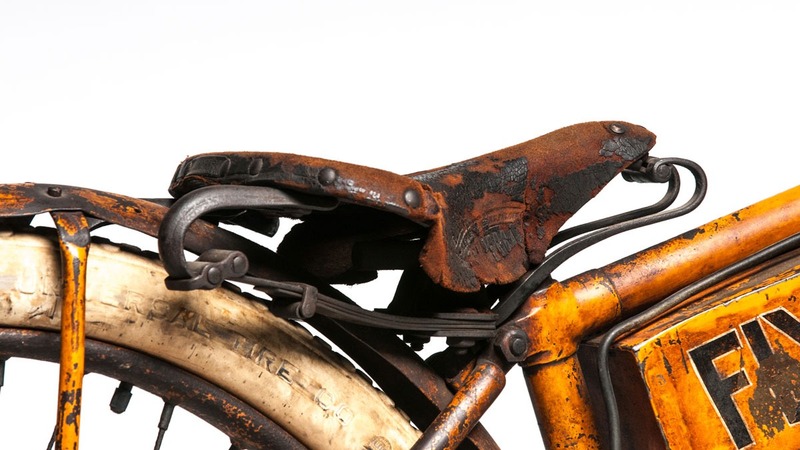 It’s similar to a design used by Vincent, then Yamaha motocross racers half a century later. Merkel eventually gave attention to engine design incorporating cam operated inlet valves where others were still using atmospheric valve designs. He also began to use ball bearings on the crankshaft early on. Though ultimately a failure, his ingenious spring operated starting system self-wound each time the engine started, ready for the next round of starting, a system small engine manufacturers experimented with in the 1960’s. Distinctive fuel tank shapes and the orange paint make Merkels immediately identifiable. 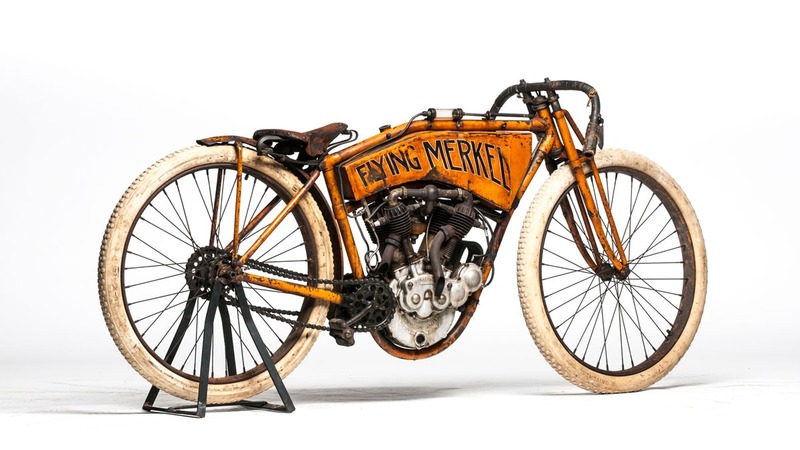 Technically, Merkels were as advanced as any American motorcycle in their time, except perhaps the bevel drive overhead cam Cyclone. 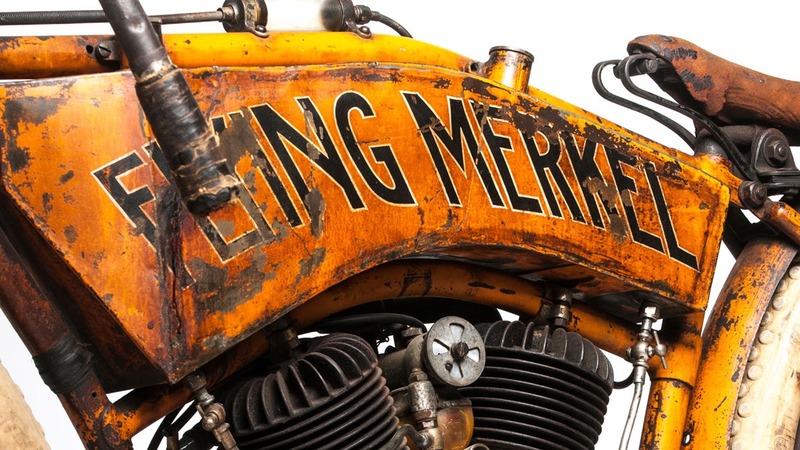 Always considered a premium quality motorcycle, Merkel company had several owners and locations over the years. 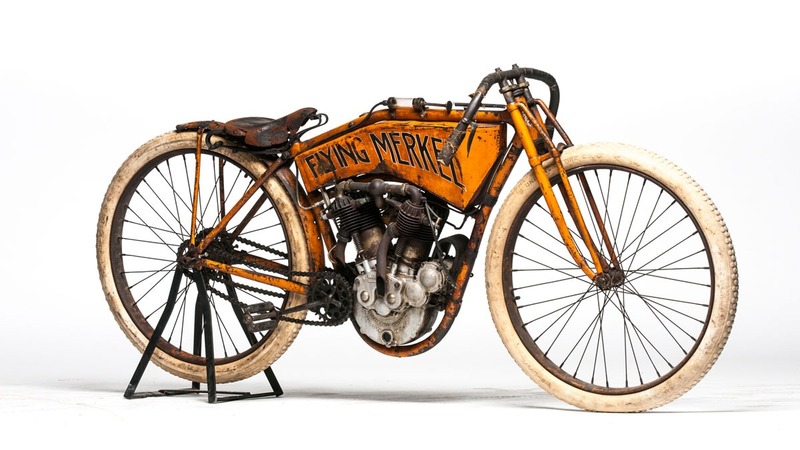 Originating in Milwaukee about 1902, Merkel’s company merged with Light Manufacturing and moved to Pottstown, Pennsylvania in 1909 and the name Flying Merkel was added. Then in 1911 Merkel Light was moved to Middletown, Ohio after Miami Cycle Manufacturing purchased the company but ceased manufacturing in 1917. When you visit the National Motorcycle Museum you can take in six Merkels, twins, single and even a bicycle. 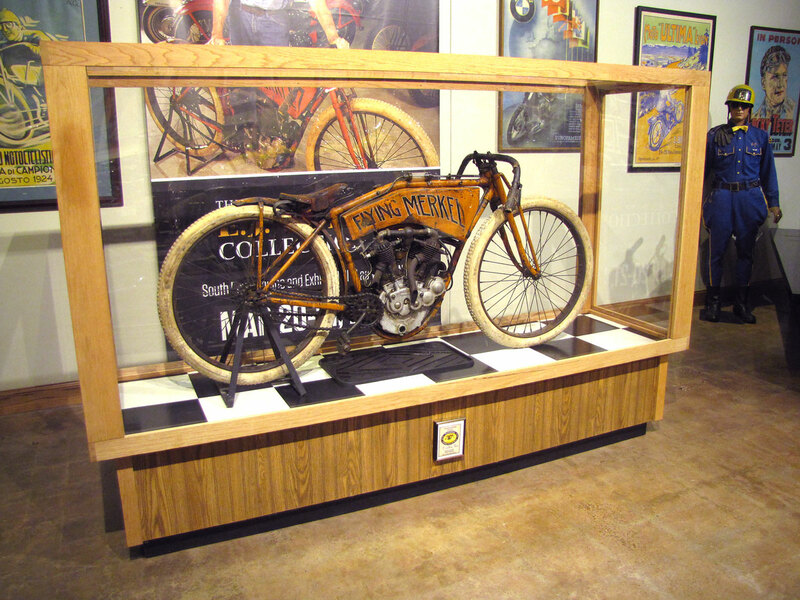 The featured 1911 Merkel Racer resides in the Hagerty Insurance sponsored Best of the Best gallery at the Museum. 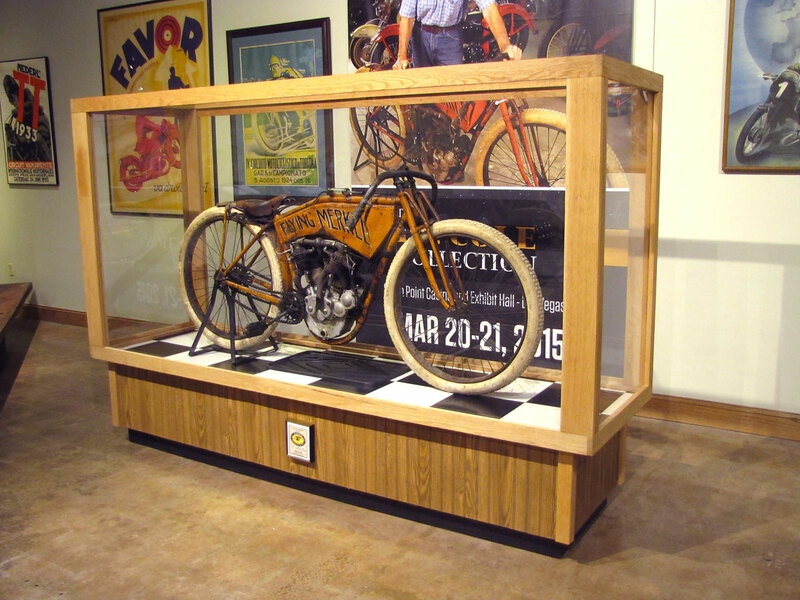 As with the 1908 Harley-Davidson “strap tank”, a showcase protects the original surfaces.